SGP Secret FM 2015 Podcast Competition – The global community for audio culture. Secret FM launched in 2011 as the official radio station for the amazing world-renowned Secret Garden Party festival. The live radio broadcast runs 24 hours throughout the 4-day party from a superb on-site mobile studio. Listeners tune in from the festival site on 87.9FM as well as from across the globe on the internet, locking into the headline guest interviews, acoustic sets, DJ mixes, talk shows and festival news. In 2014 the live stream peaked at over 65,000 hits – imagine your show being aired to 1000s of listeners. 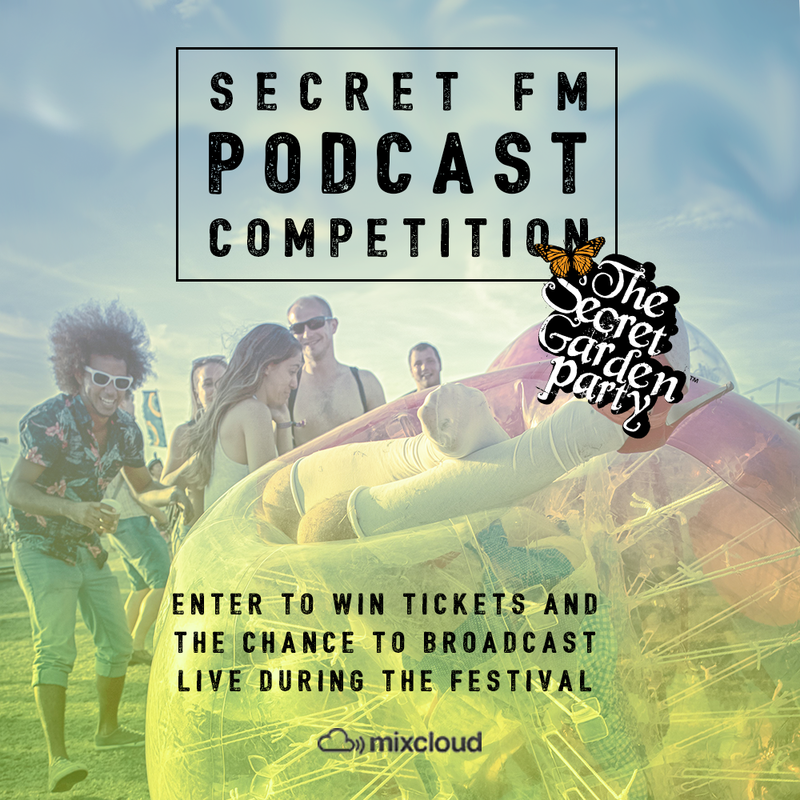 Enter our Podcast competition here and get a chance to broadcast your radio show live on Secret FM at Secret Garden Party festival.